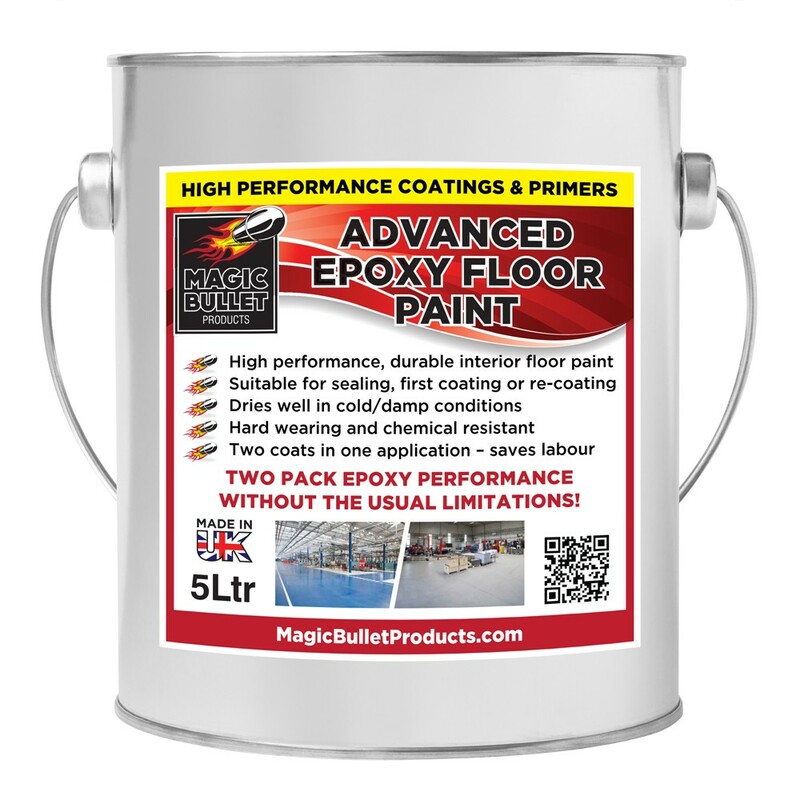 Advanced Epoxy Floor Paint is equally effective on new concrete floors which have through dried and previously painted surfaces which have been suitably prepared. 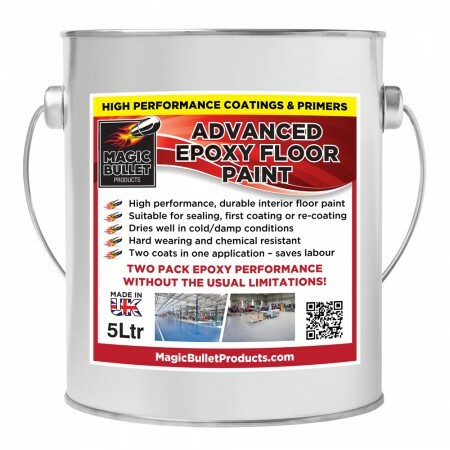 Due to the wide variety of substrates and circumstances involved in floor coating and renovation it is essential that the customer satisfies themselves as to the suitability of any product or specification prior to commencing application. We strongly recommend a small discrete trial application be carried out well in advance to check for adhesion, finish and colour. Magic Bullet's technical department are happy to give further advice and information.